Dharamshala: - A Tibetan was detained by Chinese authorities for his role in allegedly sending out information on the recent mass protest in Kham Driru County of eastern Tibet. 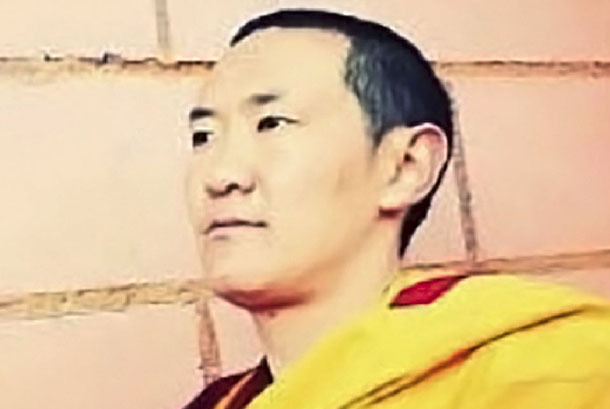 "Kalsang Choedhar, a monk from Palyul monastery in Palyul County was arrested by Chinese police on October 12 (3pm Local Time) in the main market in Sog County, eastern Tibet," Tharpa, a Tibetan living in exile told The Tibet Post International. "Hundreds of Tibetan monks from Palyul monastery gathered at a government office in Palyul County to call for the release of the monk, who was detained for allegedly spreading information on the recent two week-long deadly crackdown in Driru County," he said. "His mobile phone was also confiscated by the Chinese authorities," Tharpa further said, citing the sources in the region. According to the sources, "many locals, including Buddhist nuns later joined the monks in front of the police station to demand his release from Chinese custody," Since then his whereabouts and well-being remain unknown." The protesters however were told that the monk has already been moved to Chamdho county", sources added.